I have advantages. I work from home. Though we live rurally, it’s only twenty minutes from “town” –and only a mile from the little village that gives us our postal address. I am freed from any daily commute. That’s not an accident. We have, for years now, been making concerted efforts to reduce our carbon footprint. We’re not just frugal; diminishing our fossil fuel usage may be essential to survival on the planet. Minimizing impact informs our daily choices. We maximize any driving trip to town. Unless it’s an emergency (and I’m yet to have one) any town-run must include business at a minimum of five stops. That means we make lists and combine trips to reduce unneeded transport. We try to keep carbon-footprint in mind with purchases–where possible, buy local. While we’re at it, we also pay the extra for organic. Though I’m mindful of our pennies, I can’t expect to save the planet if I subsidize its poisoning with pesticides; erosion with poor soil management; or support unfair wages and conditions at home, or abroad. This takes the Golden Rule at its word–treat others (and the planet) as you would like to be treated. I’m not sure we can turn this juggernaut around in time to keep the planet habitable. I hope so. I have no children, but I still think we have a duty to the children of today, and tomorrow, not to kill the only world we know. We cannot shrug our shoulders and wonder “What’s a person to do?” The time for wondering has long since passed. It time to take individual action and responsibility. It adds up–if enough of us take the pledge. And besides, even if the science is wrong, and we still change to reduce climate change, what could be the downside? If our air and water are cleaner for our efforts, where is the harm? If, to reduce the energy costs of transport, we support our local farmers and build sustainable communities, would that be bad? If, to save on wasted energy, we insulate our homes and change our ways to reduce unnecessary consumption, who could be hurt by this? If we pay our employees a living wage, and in so doing, build strong and sustainable local economies, won’t we all be stronger for it? So, I plan and make the extra stops. We plant trees for a future we will never see but that we know, will be better for our efforts. You’ve been there—a book fair, or an author-signing event. The author sits, with a forced smile, trying to engage. Normal people, who otherwise might manage a smile or a nod, drop their eyes and rush by. They’re too polite to intend to reject, but the result is the same. They avoid eye contact. We love books. They entertain and inform. They take us to places, internal and external, that we otherwise would never experience. They make us think. Storytelling is probably the true oldest profession. It may be the real difference between man and the other animals. Forget tools—animals use tools. But writing is very much an internal process. There’s not much to see. It is, for everyone except the author, pretty boring. And authors are often shy, living in the world from their side of the keyboard. It makes for a marketing conundrum. As the author, how do you sell books? As consumers, we want action—writing, by itself, isn’t dynamic. The standard formula, the book fair, is death on cold toast. Uncomfortable for both the author and the consumer, it is Authors + Card Tables + Books = Boring. It’s like one of those sad little small town zoos, where the animals are housed in small, concrete cages. At best, you’re tempted to tap on the glass to elicit some response, or throw popcorn, even when the signs admonish you not to feed the animals. At worst, you scurry by, shoulders hunched, eyes averted. I’ve joined an Author’s Group. We discussed at great length the challenge of the “author’s event.” We swapped horror stories of our collective experiences, trapped behind stacks of books in the entry of some otherwise kindly bookseller. We vowed not to repeat the equation. Traverse City Authors announces its Celebration of Story. On June 14, at the Little Fleet, we’re holding a story slam benefit for Front Street Writers (a local nonprofit program for young writers.) After all, at its essence, what we do is tell stories. Come see the Authors, in their natural habitat, surrounded by good food and drink (because authors aren’t stupid), and yes, of course, books. Sometimes there are crystalized moments in your life, moments that are loaded in a way that forms who you will be, or that define a new direction that your life will take. I’m fascinated at how a chance event can snowball to construct an entirely different version of you, than the expected path might have yielded. You may not even know it at the time but, upon reflection, you can see how the impact of that moment left its fingerprint on you, and maybe on others around you. We all have answered those “pivotal” questions, “Where were you when…” But they reflect a wider sensibility—that of a community or a nation. And I don’t doubt that those incidents that form the arc of history have an impact overall. What I’m talking about here, though, are the more personal moments—the AHA! events that took who you were, an instant before, and then mapped a new direction for who you became as a result. 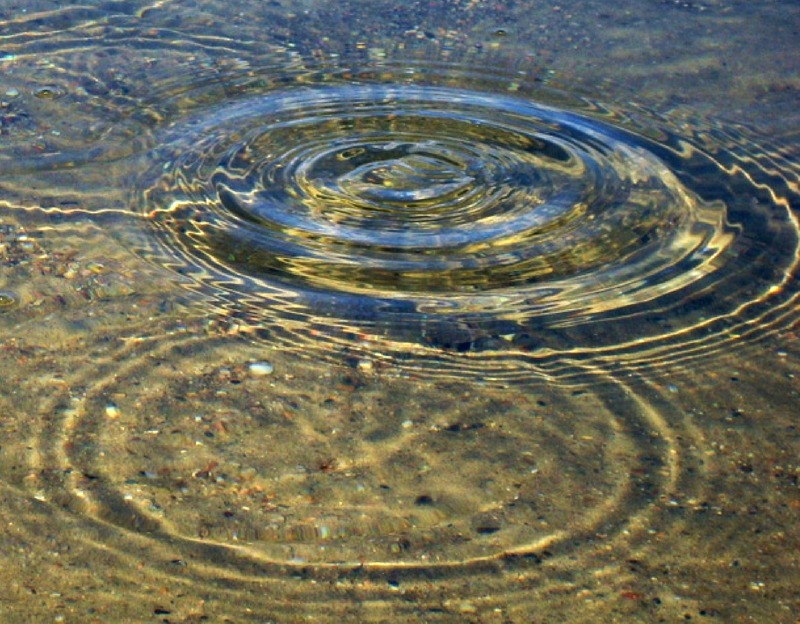 From time to time, in this blog I’m going to address those ripples—in my life, and in the lives of those I know. I invite you to ponder your own circuitous paths, and how the “you” of today emerged. Feel free to share. We were stair-step kids, arriving with catholic regularity, one, nearly every year. Before long, our standard issue, three-bedroom tract home was too small, owing to our lopsided gender distribution. When the time came that my brother, the only boy, really needed a room of his own, we four girls were too much for the other bedroom. My parents own interests were running out of space, too. My father’s woodworking and my mother’s new involvement, in the world of clay, were spilling out of the utility room and into the kitchen. So, my parents took the plunge. Together they sketched out a plan to expand our home to make enough room for our wild tribe, and enough for all the different things we did. An architect made their dreams into plans and the bank gave the go ahead. My parents found builders, the highly recommended Radovini Brothers. These young men accepted the job, but warned that, in the middle of it, they’d be taking off for two weeks for a long planned family reunion. As long as the project was enclosed before they left, and then finished before the end of the summer, my parents didn’t mind. How could they? They understood family. It was high theater for us. It was summer and we were off school so we could watch. They were doubling the size of our house, there was digging, with its piles of dirt and concrete, and finally, The Radovinis arrived. We loved them. They were five brothers with mops of dark hair and sun-bronzed skin. They worked shirtless. The neighbor women came to watch. The Radovinis worked and laughed and sang—sometimes opera, sometimes Italian folk tunes. The brothers harmonized, in their songs and in the rhythms of their work. They brought enormous lunches, which they unpacked from coolers with great ceremony. Food was important. They ate with great gusto, the jokes and ribbing continuing between bites. It was like being visited by the circus. They were as charmed by us as we were by them, a string of blond towheads, following their every move like puppies, soaking in the aroma of pine boards, and watching the building take shape. Our house grew by the day—faster even than we’d been told to expect. These men loved their work, and loved showing off their skills. Our jaws hung slack as we watched the drawings from the plans take shape in the air. It was a two-story addition and they were fearless—walking out on the thinnest of planks, twenty feet in the air, tossing up tools to the outstretched and ready hands of trapeze-artist framers. We tipped our heads back and shielded our eyes from the summer sun with cupped hands, to watch. How lucky we were to have found such tradesmen! As the time for their scheduled vacation approached, they worked long hours, determined to frame and sheath the structure before their trip—as promised. The oldest brother approached my father. Were we happy with the work? Of course! Sheepishly, he requested that my parents advance the full contract price. The brothers were traveling across Canada for their reunion and wanted a “safety reserve.” My parents, thrilled with their work, were happy to oblige. Hell, they’d have adopted them if they could. In their absence, we clamored over the new addition like squirrels. We collected nails and pieces of scrap wood—which we hammered into odd towers. When parents weren’t watching, we walked on the skinny joists, high above what would be our new garage. It was all so exciting–we could hardly wait for their return. My father broke the news at dinner one night. We knew that something was up. My mother’s face was puffed and red. There’d been an accident. The Radovinis, they were going over the mountains—with most of the family riding in a travel trailer. A passing car clipped their trailer and forced it, and its tethered truck, over the edge. Four of them had been killed, along with their wives and children. The surviving brother would never walk again. With him, all that remained of this vibrant family was the elderly grandmother and an infant child, who’d remained home. The singing and laughing, gone. My parents never mentioned the money. And, from that day, we became builders. My dad rolled up his sleeves and learned. His weekends became building time. We were his cadre of conscripted workers, little fingers stuffing insulation around windows, holding the end of the measuring tape and carrying tools and supplies. He learned wiring and plumbing and tiling (Oh My!) So did we. 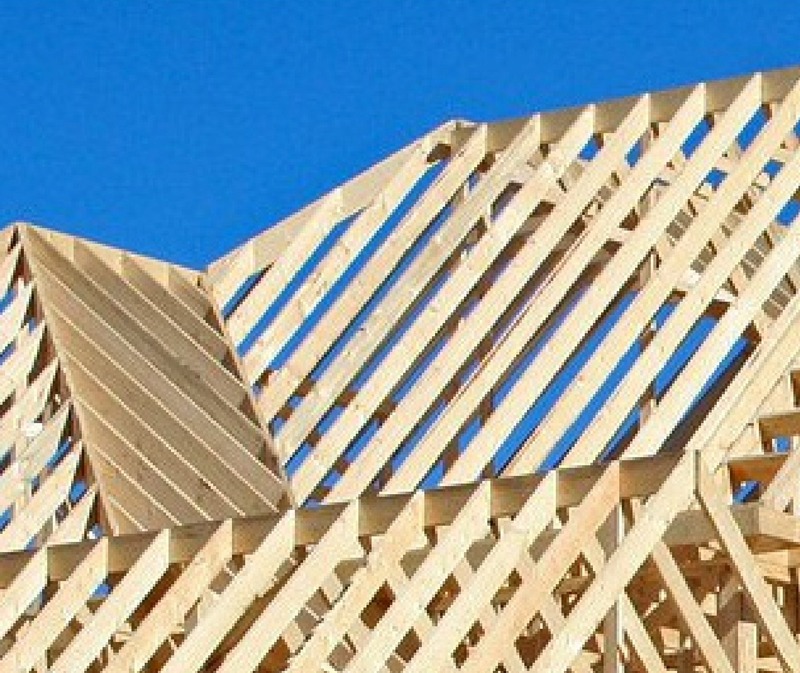 He harnessed his intense fear of heights to finish the roof and upper walls. We learned to put our fears in context. Money was tight, but skills we could learn. We became a family that built what we needed. We never shied from what willing hands could perform. It took my parents, and us, ten years to finish, but it was done, and done well. That continues to today—not a professional builder in the bunch, but my siblings, mostly girls, are not strangers to the working end of a hammer. The Radovinis came into our lives nearly five decades ago. Right now, I am poised at the largest project of my adult life—my husband and I are building a home. 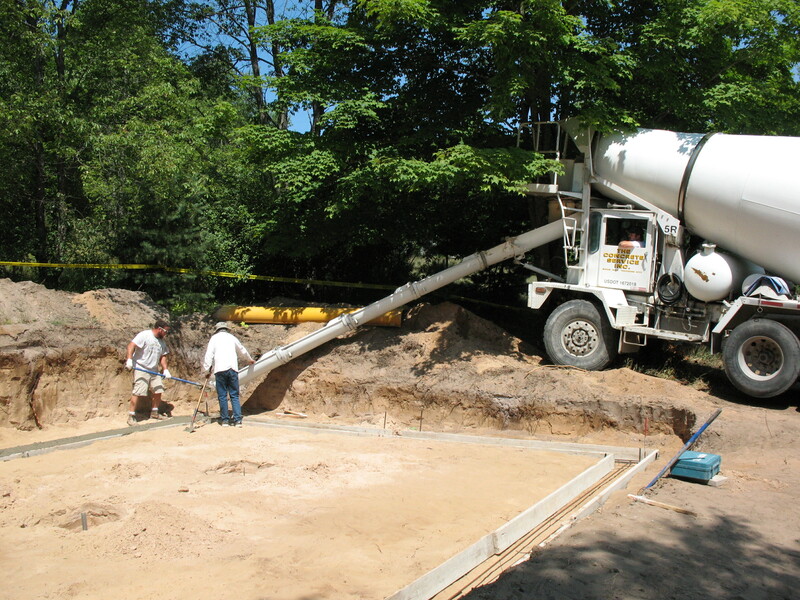 As I wrote this, the concrete truck arrived to pour the footings. In my minds eye, I can see the Radovinis, perched, straddling the skeletal ribs of our new roof, drinking ice water from re-filled Coca-Cola bottles. They chug it down and pour the rest over their heads, laughing and working in the summer’s heat.